I think many know one of the most popular cartoon "WALL-E". This mod adds the very character and his companion Eve. By themselves, they do not give but look pretty cute. Sonic Craft texture for 0.10.5Based on the popular game among many gamers, created this new pack. The main character - Sonic. Pack will look bright and colorful cartoon! THE COMPANION MOD for Minecraft PE 0.9.5With this mod you will become a multi-level game. Passing game you will gain experience points, and as in most RPG, the more experience points, the stronger you will be. 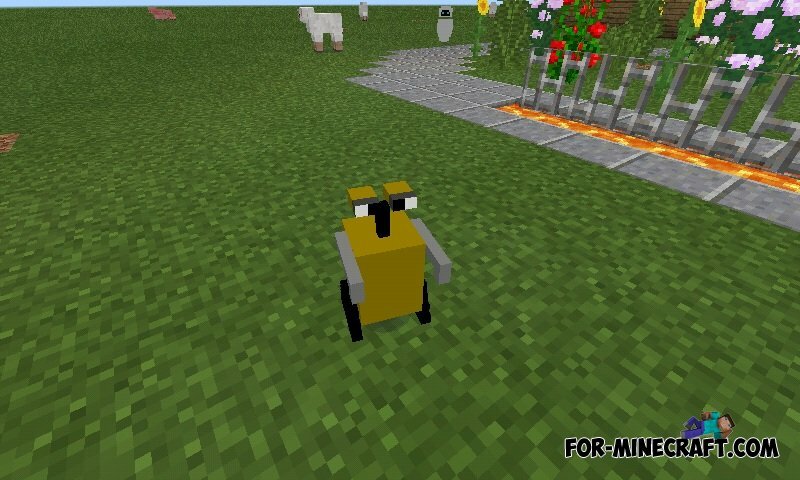 World Edit mod for Minecraft PE 0.10.XWith this mod, you will quickly be able to edit their own world. Remove and put a wall of blocks to create a sphere, cube, and more!